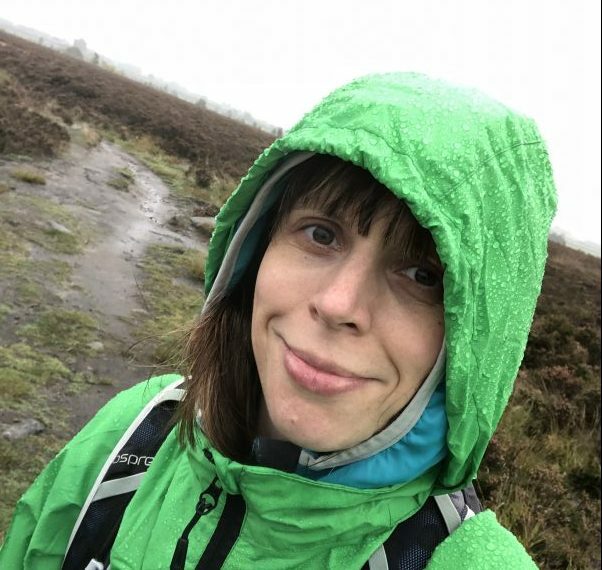 It was time for another challenge to push myself again and this time I fancied trying a long-distance national trail. 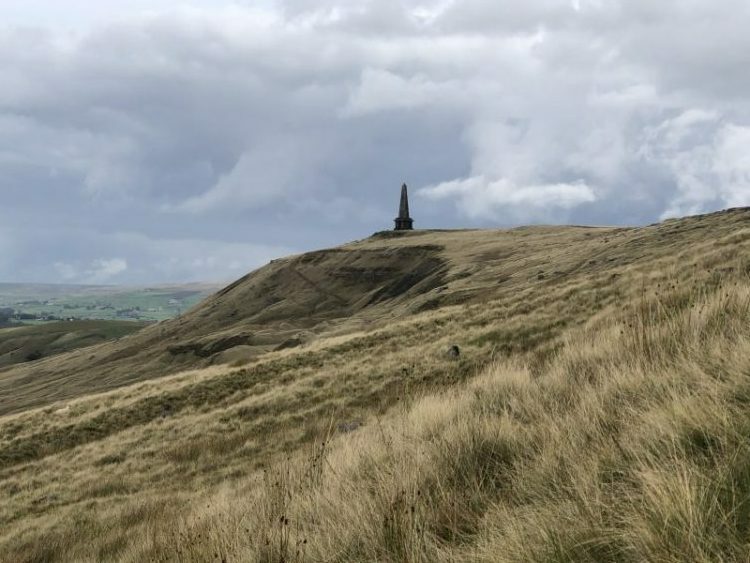 The Calderdale Way is nearby, and promises spectacular views, a variety of scenery with woodlands, moorland and all the time not being too far away from urban towns and villages. If I couldn’t cope with the distance a bus, train or husband rescue wouldn’t be too far away! So early one Saturday morning, I waved goodbye to my husband and sleepy kids as they drove off having dropped me and a friend off at Clay house, near Halifax. The heavens decided to toast this momentous occasion and duly opened just as we began walking. A quick rummage through the fit to burst backpacks for waterproofs and we were on our way. I was delighted to see a couple of young deer run through the woodland as we made our way on the first part of the footpath. A magical start to our walk despite the weather. Unfortunately, the weather stayed dreadful, but we managed to make good time. 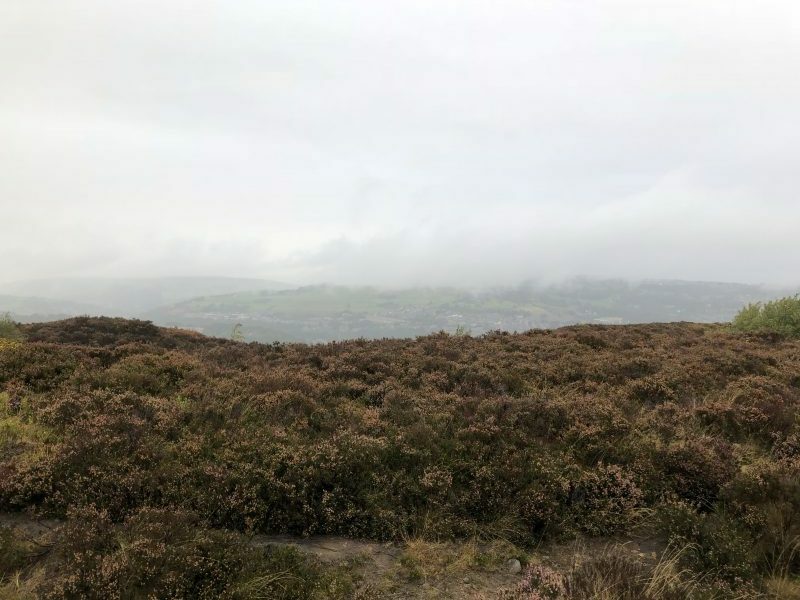 Norland moor probably has some lovely views, but with mist, low fog and torrential downpours we couldn’t really see them! The walk was uneventful until we came to a moorland gate and were greeted by three large highland cattle. I absolutely love highland cows but have never come face to face with one so close in real life. They were blocking our path and it was then I noticed the largest was a bull. 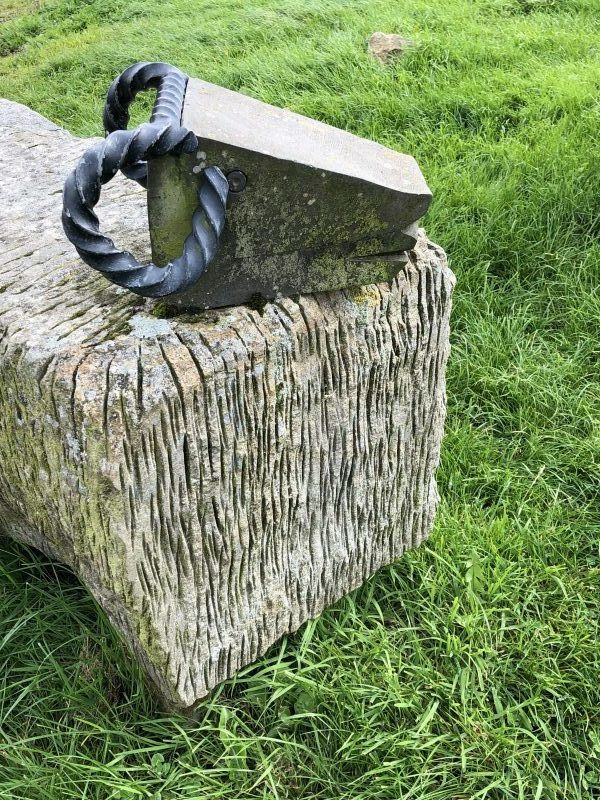 Very quietly I inched over the tiny stone gap stile, heart pounding. 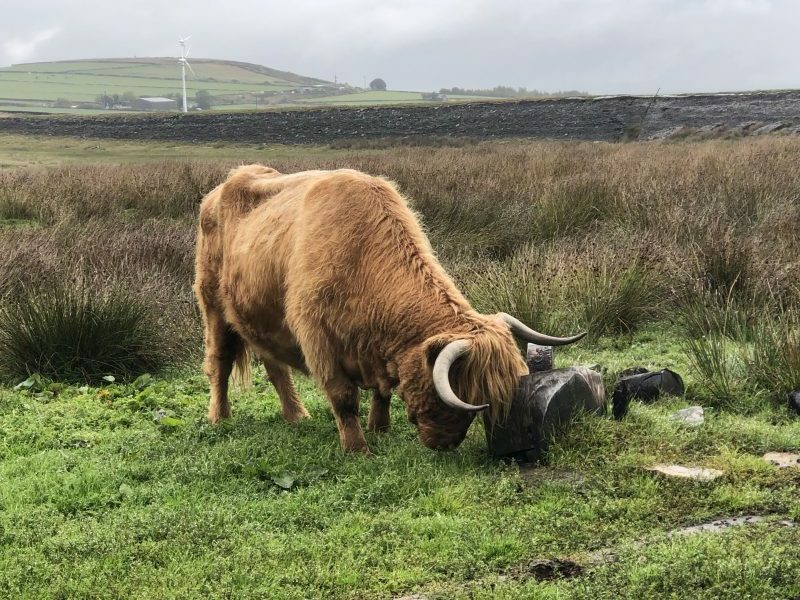 Phew, we both got over and the cattle were more interested on scratching themselves on some rocks than two, bonkers, soaked hikers! It was just after Ripponden that I spectacularly sank shin deep in mud and cow pats. A field full of cows had been all churned up near the stile we crossed and once I had started that path there was nowhere to go. I was covered in stinky mud that went all the way inside my boots. My friend couldn’t keep a straight face and I don’t blame her, I must have been a right sight! On I squelched. I had another moment of drama when I fell flat on my back having slipped on some Yorkshire stone. Luckily just pride hurt. We found a sheltered bus stop, with bench, around lunchtime and proceeded to fuel up and change socks!! We got a few looks from passing runners and cyclists, probably because I was putting now dry feet into freezer bags before putting the wet boots back on! The sun then decided to make an appearance and we were able to dry off a little. Stoodley pike had been taunting us for a while from across the valley and then hiding again as we came up from below it. It’s an amazing sight from the footpath but we didn’t go as near to it as I thought we might. That walk is for another day. 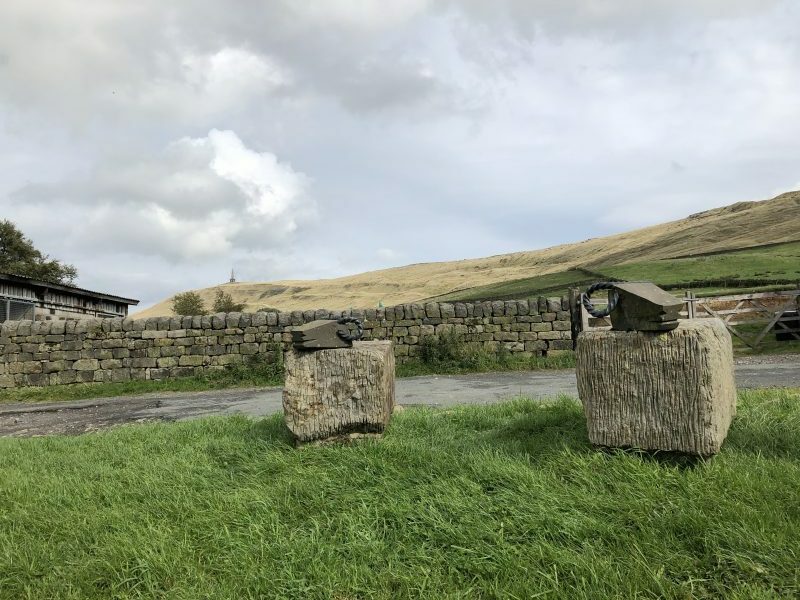 We had made really good time and knew that by the time we reached Mankinholes we had to make the decision to either get a bus to Todmorden or plod on. As it was we had plenty of daylight time left and what’s a few more miles! A quick stop for a rejuvenating coke at Lumbutts and on we went. After 17 miles we made it to our overnight accommodation in Todmorden, shattered, starving and looking forward to a pint and a sleep. Read the next instalment of our Calderdale way adventure, where it’s raining frogs! We used Paul Hannon’s book ‘Calderdale Way’ to help guide us along with OS21 L map and the OS map app. The footpaths are also well fingerposted. Apologies for the lack of photos but the weather was so hideous. 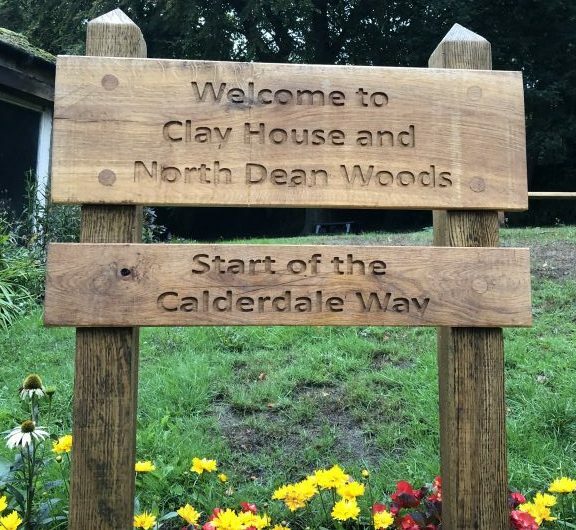 Have you walked the Calderdale way? Let me know in the comments. I’ve wanted to do the Calderdale Way for some time now so I’ll look forward to the next instalment. Hopefully your next one won’t be a squelchy sock experience. Thanks for joining us on #adventurecalling. Do it!!! the scenery and views are supposed to be amazing so I’m a bit sorry the weather let us down this time. I can’t wait to do the final two stages but I think the will have to wait. No squelchy socks but there’s flying frogs in the next instalment. It’s a great walk and I can’t wait to go and do the rest – might wait till spring though! You have been rather busy so I think you’re allowed to not feel as fit!